Host an English-speaking tutor at home to improve your family’s level of English. Most of our language tutors are Americans who come to live with you, and teach you for 15 hours per week to explain grammar points or simply to converse with you in English, free of charge. AFJ Tutoring is a cultural exchange programme which benefits the entire family. This linguistic immersion at home enables your children to improve their English and to quickly and easily gain confidence when using it. This programme enables the whole family to learn in a natural way, and it encourages your children to be more open-minded thanks to the discovery of a new culture. PLEASE NOTE: The Tutoring programme is different to hosting an au pair. The tutor’s role is not to help you to look after your children or to do the housework. Tutors fully participate in family life as another member of the family and their role is to speak in their native language (in English) and to spend 15 hours per week teaching you English. Most of our tutors are students, they have all completed their A-levels and are usually aged 18-30. They take part in the programme because they want to learn about French culture while living fully immersed in French family life. Our tutors are usually from the USA. In return for the language exchange, as a host family you must ensure that your tutor has their own room and access to all conveniences in your home. You must accommodate and provide food for your tutor during their entire stay (from 1 to 3 months). You are not expected to pay for your tutor’s meals if they eat out. Establish a weekly timetable for your English lessons and conversation classes. The host family should speak French to the tutor, as much as possible, outside of the agreed English classes. During their free time your tutor can travel, take part in activities, sign up for French lessons etc. Placements last from at least 1 month to a maximum of 3 months. Placements are available all year round. You must pick up your tutor from the nearest airport as well as drop them off at the end of their stay. Your tutor will pay for their own flights. Your tutor’s work is unpaid. You simply accommodate them, cook for them and treat them as you would a member of your family. The cost of flights and French classes, should your tutor decide they want to take any, is your tutor’s responsibilty. We also ask that tutors take out insurance before arriving that will cover them fully during their stay in France (health, public liability, repatriation). Why host an English tutor with AFJ? The AFJ team is available every day of the week, throughout the entire duration of your cultural exchange. We help you to put together your dossier free of charge. We won’t ask you for any subscription fees or payments during the registration period. AFJ is a founding member of the UFAAP and the IAPA and is thus committed to respecting the quality guarantees of these organisations. 1. Sign-up on our website to receive a registration form for our Tutoring programme. Click here to apply. 2. Complete your dossier and be sure to include all the necessary information – your dossier should reflect your family. 3. 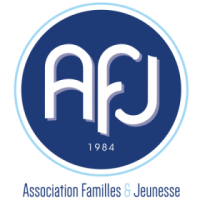 AFJ will send you the profiles of their candidates, all of whom have been very carefully chosen by AFJ’s foreign agents. 4. Consider the profiles and contact your preferred candidate to organise an interview. 5. If your preferred tutor is also interested in working together, sign the placement agreement. 6. Prepare for your tutor’s arrival and be sure to give them a warm welcome.